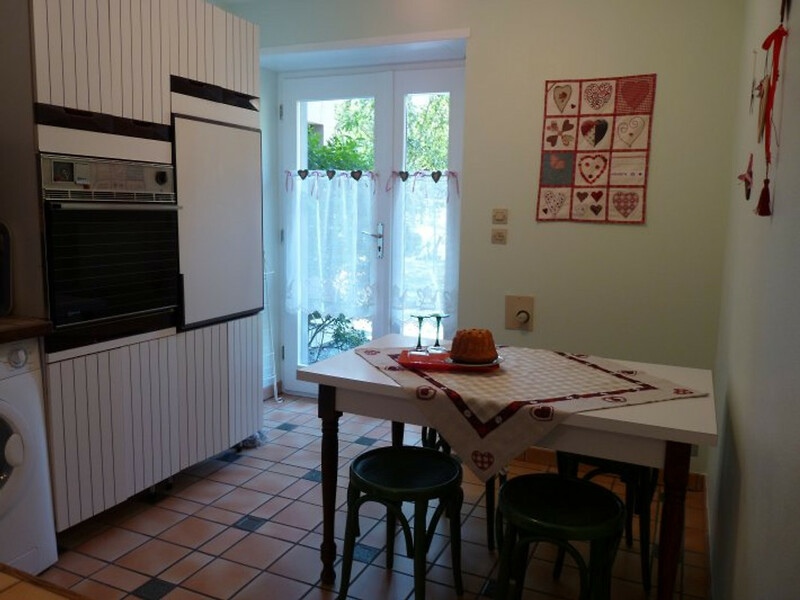 Our stylishly renovated and fully equipped apartment is located in the center of Sewen. 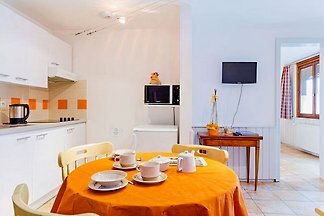 The apartment is at ground level and also provides so people with limited mobility the best conditions for a pleasant holiday. 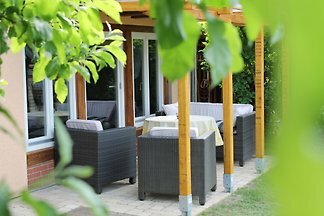 Also, the adjoining 50 sqm large garden with barbecue, swing and seating is directly accessible from the kitchen. 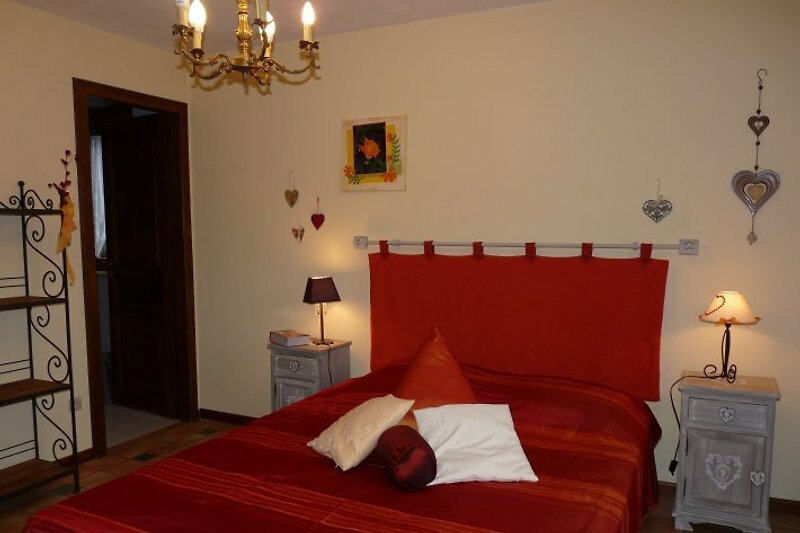 All rooms are equipped with heated floors and so also in the cold season a cozy atmosphere. The apartment has been certified by Clévacances and awarded 3 stars. The rooms of the apartment, which has a separate entrance, is accessed via a spacious hallway. From there it goes into a fully equipped kitchen with a dining table. A patio door leads directly into the garden area with plenty of seating. In the living room is next to a sofa bed for 2 people, a round table and 5 chairs even a library with Alsatian novels in French, English and German. Furthermore, there is still a LCD TV, DVD player and a CD player and lots of board games for adults and children are available, on request, WiFi. 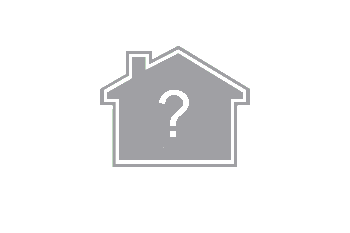 In adjoining bedroom you will find a large wardrobe and a shelf still a very comfortable and large-scale bed. 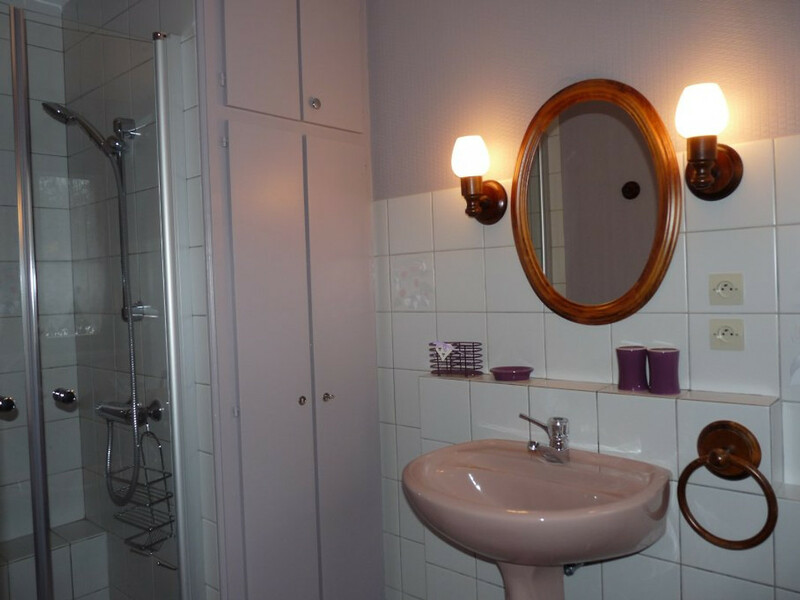 Directly from the bedroom you reach the bathroom with sink, shower, bidet and a closet with provided towels. The toilet is separate from the bathroom and also easily accessible for people with reduced mobility. 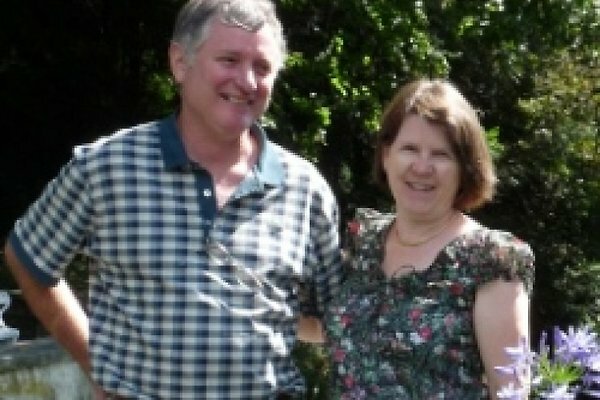 We, Marie-Claire and Jean-Paul, look forward to it and will do everything for a pleasant stay in this beautiful nature. 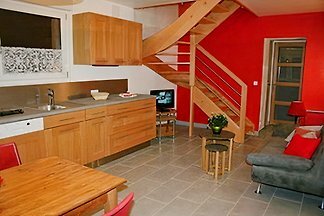 The apartment is located in the center of the municipality of Sewen in the nature reserve Doller between Masevaux (10 km) and the Ballon d'Alsace. 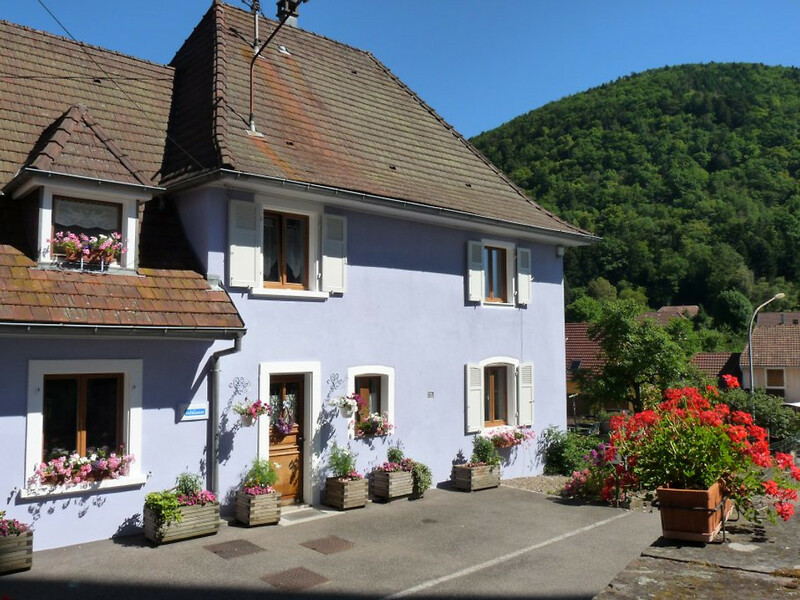 The municipality Sewen with about 540 residents below the Ballon d'Alsace is surrounded by forested mountains that make in their beauty and originality the heart beat of every nature lover higher. In every season the landscape around Sewen with its lakes, mountains and forests, an incomparable nature experience. Hiking maps and hiking suggestions you are sufficiently available in our apartment. For the physical well Auberge Ferme the worry surrounding the valley of Doller invite for a walk with dishes offered in a well-deserved rest. 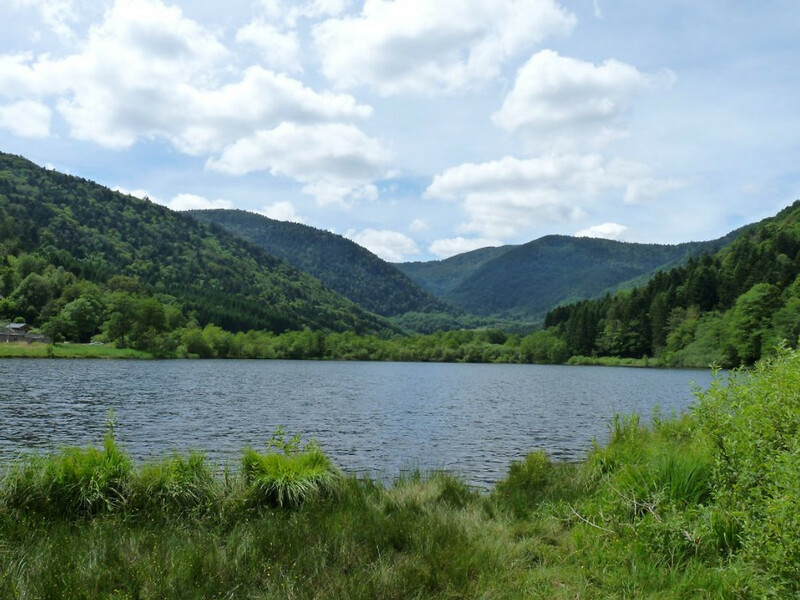 The hiking trails of the Vosges Club is perfectly developed and offers numerous opportunities for promising hikes in the area. But even in Sewen yourself you will feel at home. 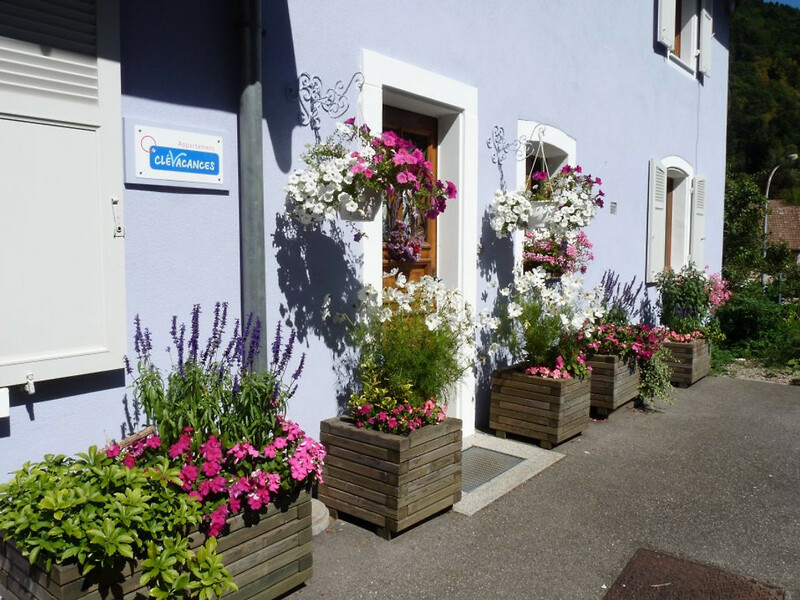 The village bears in the summer abundant floral decorations and many events of local clubs such as the Ascension market, Oktoberfest, mountain festival in the fall and the Christmas concert invite everyone to participate and to be involved. 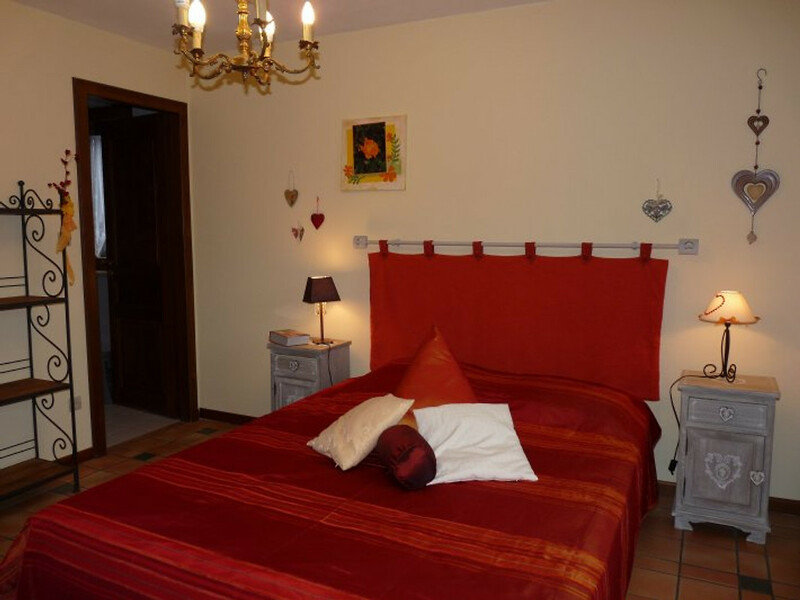 per night: € 45, excluding school holidays for 2 persons. For your convenience, the beds are topped and the towels provided unkostbar at disposal. 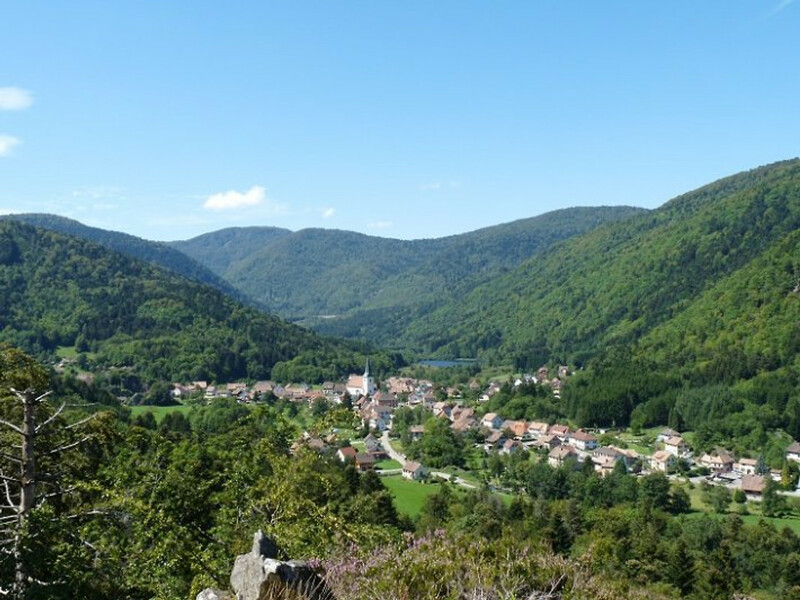 We are very fond of our village, our valley and particularly the Vosges that are around us. If you like to make a Visitors with us, we will do everything to satisfy you, to give you suggestions for hiking ..... So much maybe soon, with much joy! Liegestühlen vorhanden.Die Vermieter waren sehr nette Leute. Die Ferienwohnung ist sehr liebevoll gestaltet! Nach einem ausgesprochen freundlichen Empfang mit Gugelhupf und Wein hatten wir eine gemütliche Woche zwischen den Jahren. Die Gegend ist traumhaft, wohl zu allen Jahreszeiten! Berge, Seen, Bäche, schöne Wanderwege! Die Ferienwohnung ist sehr liebevoll gestaltet! Nach einem ausgesprochen freundlichen Empfang mit Gugelhupf und Wein hatten wir eine gemütliche Woche zwischen den Jahren. Die Gegend ist traumhaft, wohl zu allen Jahreszeiten! Berge, Seen, Bäche, schöne Wanderwege! Jederzeit wieder! !